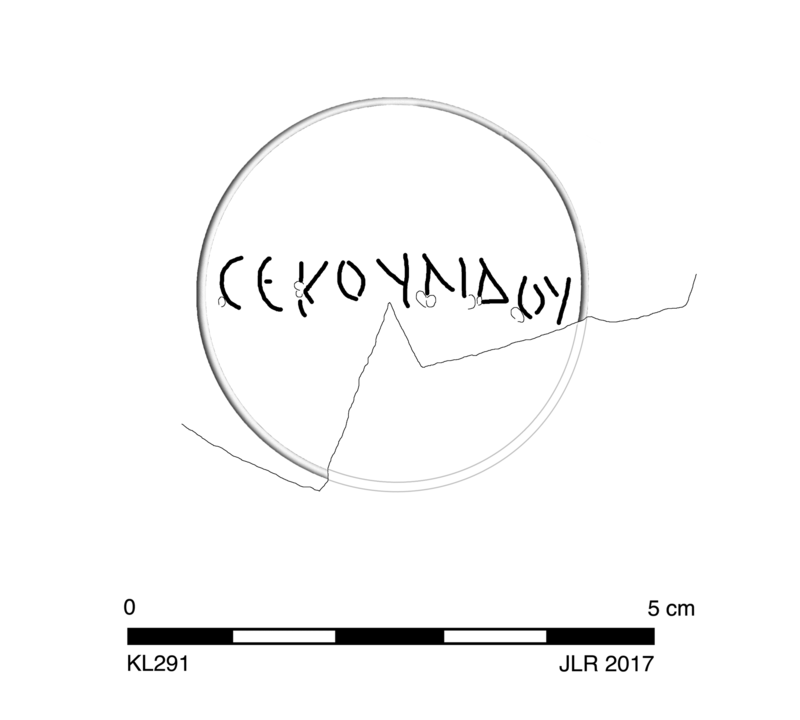 Flat, circular base has single groove around incuse signature: ϹΕΚΟΥΝΔΟΥ. Large letters. 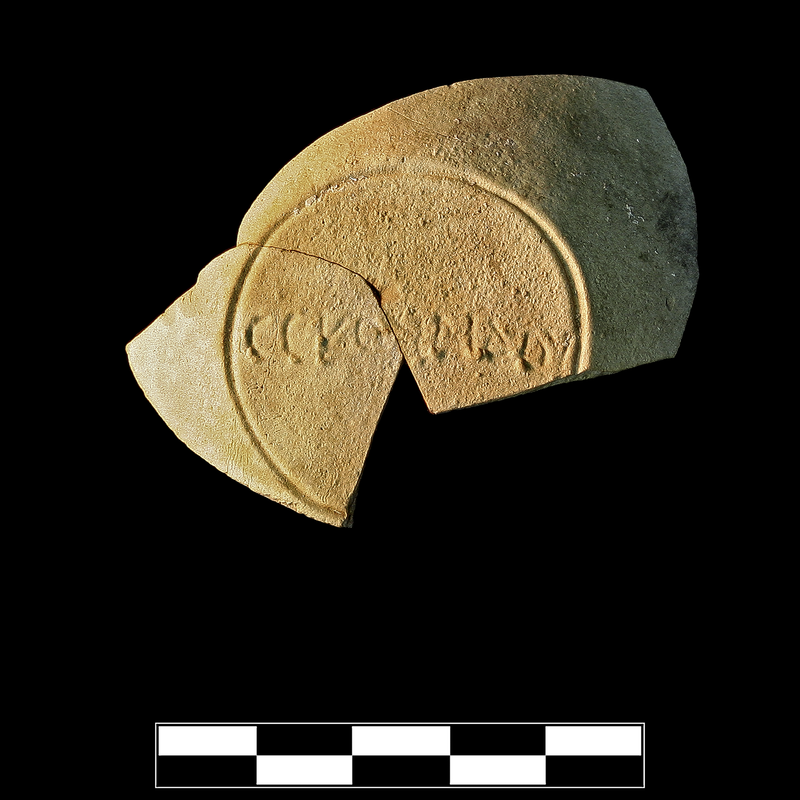 Small clay nodules in letters. Two sherds preserve most of base and back wall. Moderate, extensive encrustation.